As a first time Mom (& a solo one at that!) - I'll admit I was clueless as to how to go about taking care of my little boy. Bath time for example was taken over by my Mom and Sisters because I was afraid I might hurt him. I waited till' He got a year older before I took over. I wanted to make sure from then on, I was present in every development and milestone in his life. Thou shall never be too busy. That is a self-imposed commandment for myself. No matter how busy I am, I make sure that I take at least a day or two off to be with my son. At the day's end, I sleep beside him so that he will remember my smell and feel my tight hug for him to know that I am going to be a constant presence in his life. 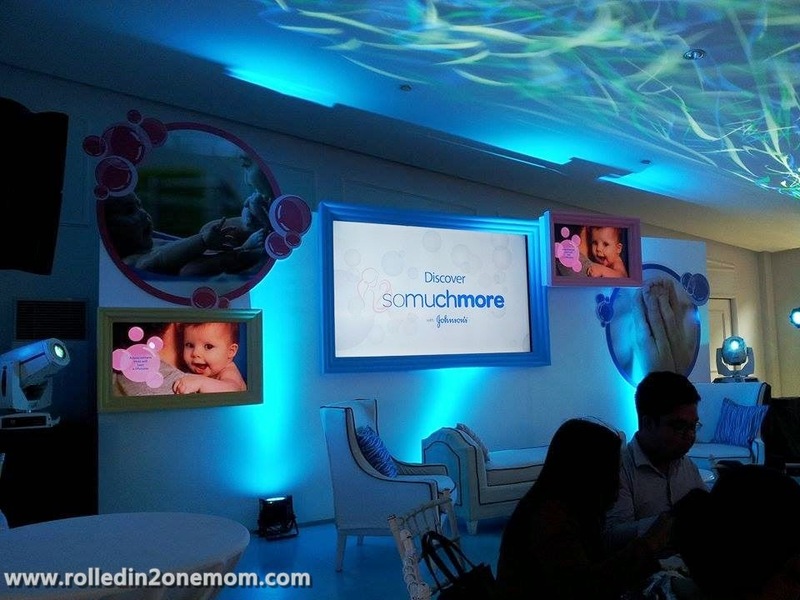 I together with other mommy bloggers had the privilege to be invited to Johnson's Baby Philippines Discover So Much More event at R Space Events Venue last week by Nuffnang Philippines. I knew it was an opportunity for me to get more tips on how to better take care of my baby. 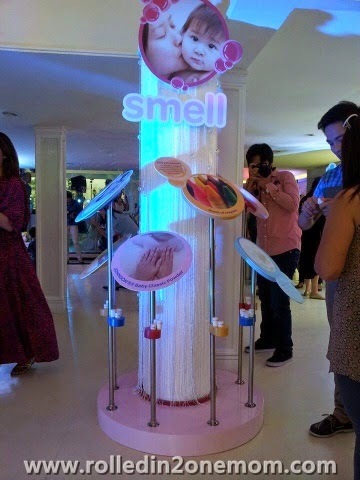 At the recently held Johnson's Baby Philippines event #SoMuchMore, they opened my eyes to the power of smell and touch and how it can help shape baby's developing brain. 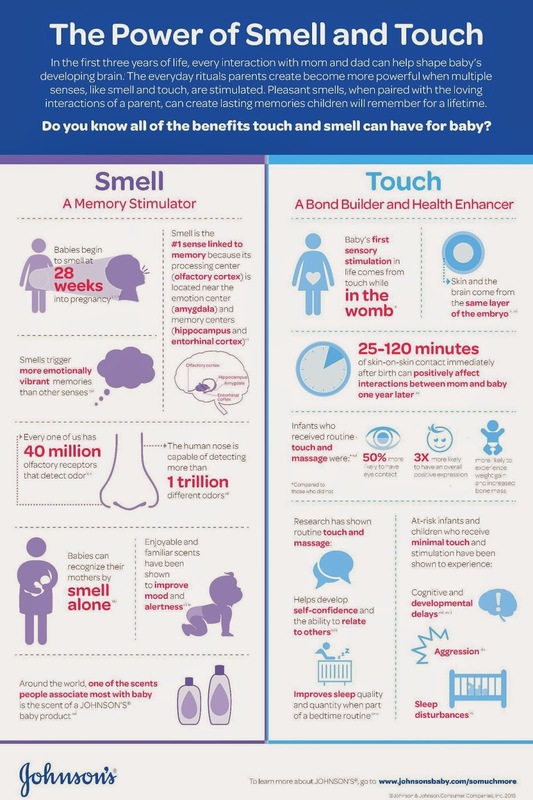 Do you know what all the benefits of touch and smell can have for a baby? In the first 3 years of life, every interaction with mom and dad can help shape baby's developing brain. The everyday rituals parents create become more powerful when multiple senses, like smell and touch, are stimulated. Pleasant smells, when paired with the loving interactions of a parent, can create lasting memories children will remember for a lifetime. 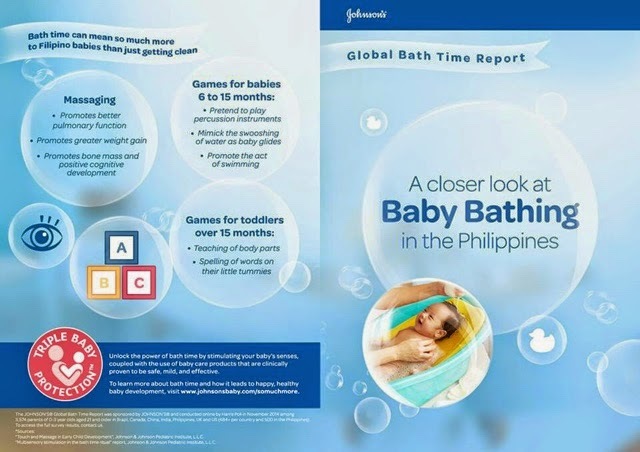 According to JOHSON'S bath time is actually a great opportunity to stimulate baby's senses because it is a time when babie's senses are very much alive. Further studies prove that multisensory stimulation can strongly aid in promoting happy and healthy baby development. 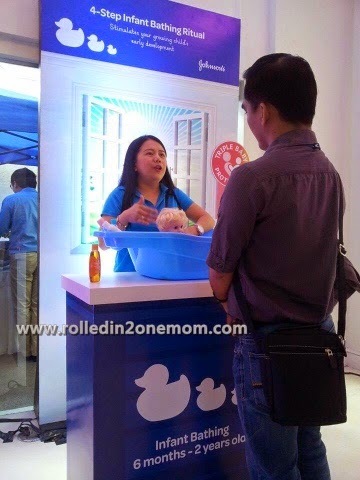 With this in mind, JOHNSON'S paves the way for a brighter future for Filipino babies by educating parents on the role of sensorial stimulation during the bath time ritual, which can lead to happy, healthy baby development. Yours truly with fellow Mommy Blogger and First Time Momma Ms. Rica Peralejo who added glitz to the event and shared her experiences as a 1st time Mom too and I quote "Masarap na Mahirap" And I agree. Other EXPERTS were also present and shared their expertise. 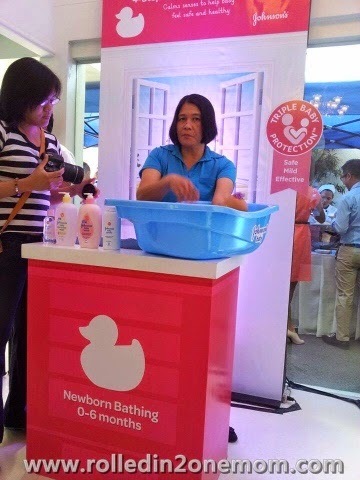 What I also loved most about the event were the booths set up everywhere wherein people from Johnson's Baby showed us firsthand how to bathe our babies according to age. 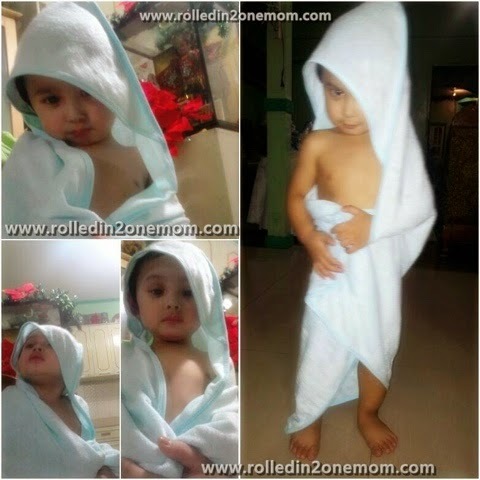 For newborn up to 6 months bathing procedure. Kid Bathing aged 3-6 years old. I realized, scents can bring back to mind so many memories from days gone by. No matter how old one gets, when we smell a certain perfume, food or morning dew - it triggers past happenings. It's like throwback thursday only for real. 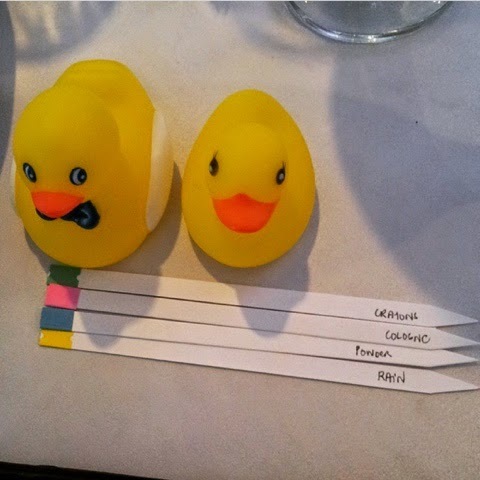 Audience engagement - a little exercise where they made us smell 4 differents scents and we are to guess what memory those smells were associated with. I call this the Scent Booth - different scents of Johnson's Baby Cologne displayed here. 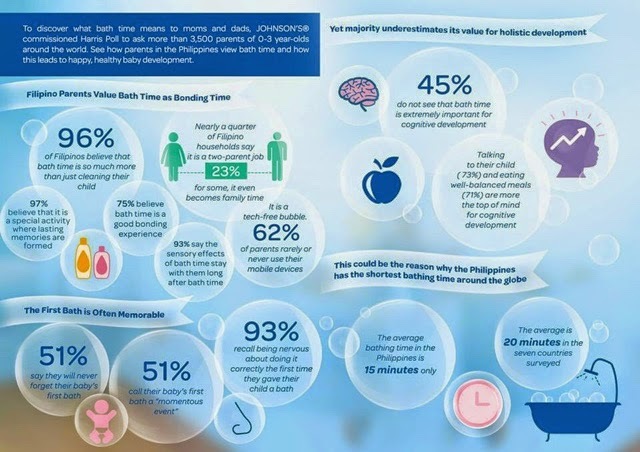 This made me appreciate how Johnson's Baby Philippines and Global exerts massive effort to change the way we all look at baby bath time. 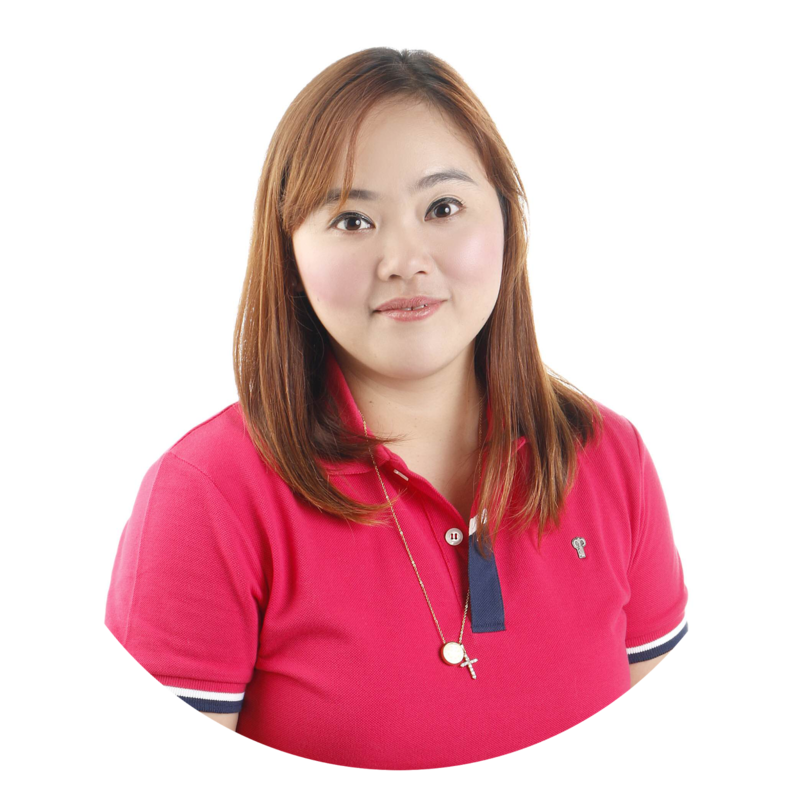 Though us Pinoys' are known for being conscious about our hygeine, there are still a lot we need to know and that we need to realize that bathing our children is a form of science too. Bath Time is BONDING TIME. I am a Johnson's Baby product user myself and until I was in college, my taste in their different cologne scents varied too. My kikay kit is never complete without a Johnson's Baby Powder too! Now that I am a mother, I'd like my boy to grow up using Johnson's Baby products too. I only trust their products because my lil guy has sensitive skin. From his shampoo, lotion, cologne and bath soap, I make sure only Johnson's Baby Product touches his skin. Mild and safe for everyday use! My little boy enjoying his Johnson's Baby Products loot. Our children will only be young once, so make sure that all activities be it play time or bath time,be turned into a ritual that will create memories that will be etched in his mind long after we are gone. Hi mommy! you're so lucky naman kasi naka attend ka sa event na ito. I didn't know na bathing your baby has a very good effect (aside from personal hygiene) I just feel proud of myself kasi since birth and until now na 7 months na si baby ko, ako ang nakapagpaligo sa kanya. :) yun nga lang ngayon, super nahihirapan ako kasi super likot na nya. Iba talaga ang alagang Johnsons. Johnson's is really an institution na talaga. With all the brands that became popular, I always find myself going back to Johnson's. My cologne is still Johnson's. Anyway, I was aware of "touch" effects on the baby, but I just learned now about the smell part. Babies are so fragile. We were taught how to bath babies when we were on our Senior high but I guess it's different if it's your own (real) baby. Kudos to J&J for campaigns like this. I can totally relate. While I was able to bathe my son young, I didn't cut his nails myself until recently. And yes, sensory experiences are very important for babies. Our pedia used to stress that every time. Good job, Johnsons! I used to use Johnsons products for my babies' bath time. Thanks for this post, very good to know, especially for first time moms. Sayang di manlang tayo nakapag more more chicka chicka sa event na to no? I went out kasi for a radio interview. Pagbalik ko tapos na. Hahaha! We love Johnson's Products! Too bad we missed that event. 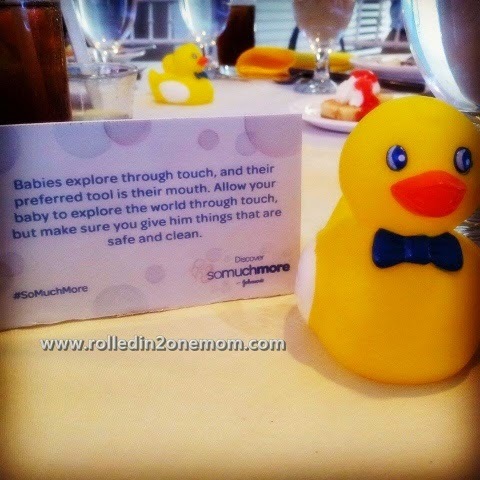 Johnson's Products reinforces the power of touch between parents and kids. I was there too! I'm a Johson's baby as well and now my son too! 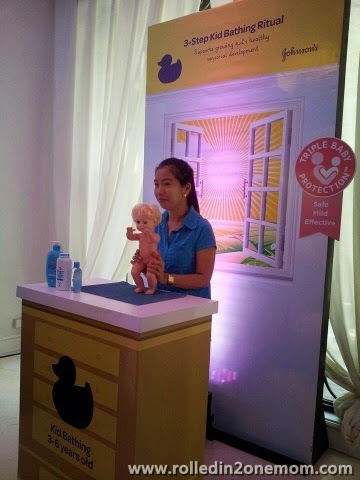 This event is great for new moms because they can learn many things about bathing and what bathing can do to babies. I so wanted to attend this event but found it a little too far for me. :( I am too a Johnson's baby! Yes, making more quality time for our baby, and I like the power of smell and touch- It gives a powerful connection with the mom and baby. I really wanted to be at this event. So bummed that I missed it and missed seeing you too! Sad to miss this event. I would have want to learn new things on how I can be a better mom. Unfortunately I miss this event; but to very honest I would like to mention some of my views that Johnson & Johnson is the only baby care product brand which deliver good result from years. We trust this brand since years and decades; as due to good quality of service most of the parents are used to go for Johnson & Johnson products.